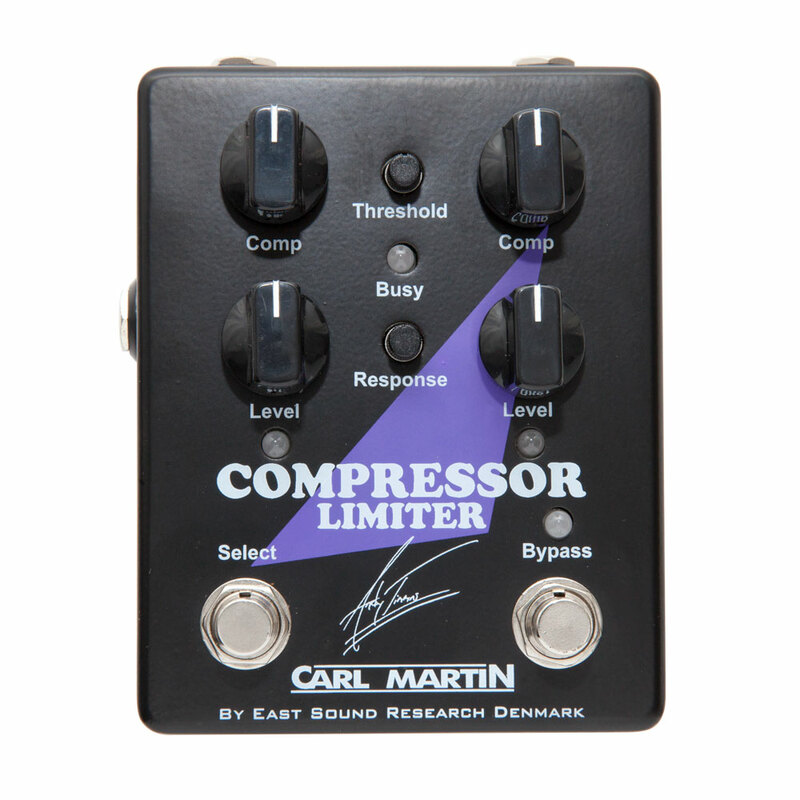 The Carl Martin Andy Timmons Signature Compressor is a versatile, studio quality like pedal that allows you to set and switch between two compression and volume levels in one pedal box. Developed with Andy Timmons so that he could have a preset for more subtle rhythm parts and a preset with more hard compression and sustain for solos, without having to take up real-estate on the board for two pedals. The pedal features a compression and volume knob for each preset, and threshold and response knobs which are shared across both settings to simplify things and with 6mm miniature knobs to save space. The Threshold knob sets the level at which the compression starts to take effect, the higher you set this control, the harder you must play before compression starts to occur. The Response knob determines the way the compressor responds to your playing, in full clockwise position the unit acts as a peak-limiter, providing a simple 'brick wall' attenuation, and turned down provides a modern, signal dependant compressor control where you can clearly hear the compressor actively shaping your sound. Also incorporated in to the pedal is a 1/4" jack socket that allows for remote switching of the presets.